The one day English teacher Reagan Wild is late for work—and looks like she dressed herself in the dark—she remembers Carter Anthony, a well-known football star, is coming to the school to deliver a talk to her overexcited students. While Reagan knows Carter from her high school days, since he was her past crush, she wasn’t ready to see him again. At the time, she hated being invisible. But right now, she wished she could simply disappear. Carter Anthony is keen to give back to his hometown, but what he doesn’t expect is getting something in return. When a chance encounter with Reagan, the shy girl from his past, happens, he knows instinctively this woman is supposed to be in his life. With an embarrassing ability to blurt out whatever’s on her mind, Reagan doesn’t understand Carter’s attention. She has no doubt, though, he’ll soon realize his mistake when he discovers just how crazy she and her family are. But no matter what he sees, what he hears, or how her looney family behaves, he doesn’t run. In fact, Carter’s family seem just as unique as hers. Through dog poop, naked yoga, and the paparazzi’s, can Carter and Reagan have any hope in love, even when it’s fumbled? 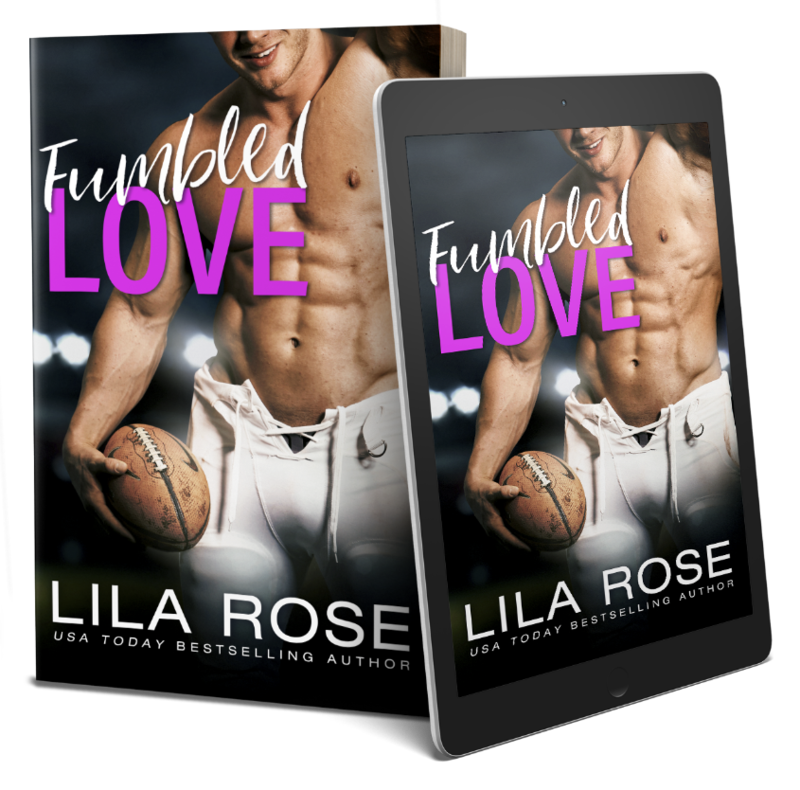 Fumbled Love is an adorable and humorous romantic comedy with a hero and heroine who are a perfect match because despite how Carter Anthony acted when he and Reagan Wild went to high school together, he’s always seen her for the witty, intelligent, and amazing person that she is and now he has the chance to get the woman he’s always wanted despite his jerkish behavior all those years ago. Readers will absolutely love and relate to Reagan Wild; she’s such a spirited and fun loving woman and even though she gets down on herself too much and seems to think that her uniqueness and her inability to think before she speaks makes her a woman that no man wants or can handle, she couldn’t be more wrong and that fact is more than proven throughout Fumbled Love by the way her students, her parents, and her friends treat and appreciate her. Not only can Carter Anthony fill out a pair football pants and throw a touchdown pass with ease, but he’s also an all-round amazing guy who realized early just how special Reagan was and now plans to get the girl who he’s always wanted. I loved how easily Reagan could bring this alpha male to his knees and the way he becomes singularly focused on proving to her that he’s not the teenage douchebag he used to be and the way he feels about her is way more than friendly. The supporting cast of characters in Reagan and Carter’s story play pivotal roles in helping these two figure things out and are instrumental in ensuring that the steps and the pace that Carter takes to woo Reagan are in tune with what Reagan needs to finally see exactly how Carter feels about her and why she doesn’t need to protect her heart from him. The scenes with Reagan’s parents and best friend, Brooke, as well as Carter’s immediate family are an absolute hoot because readers never know what inappropriate remarks are going to be blurted out or how awkward their actions are going to be. But that’s what makes this group of people so amazing – they own their crazy and wildness and their personalities make for entertaining and hilarious moments throughout the story. 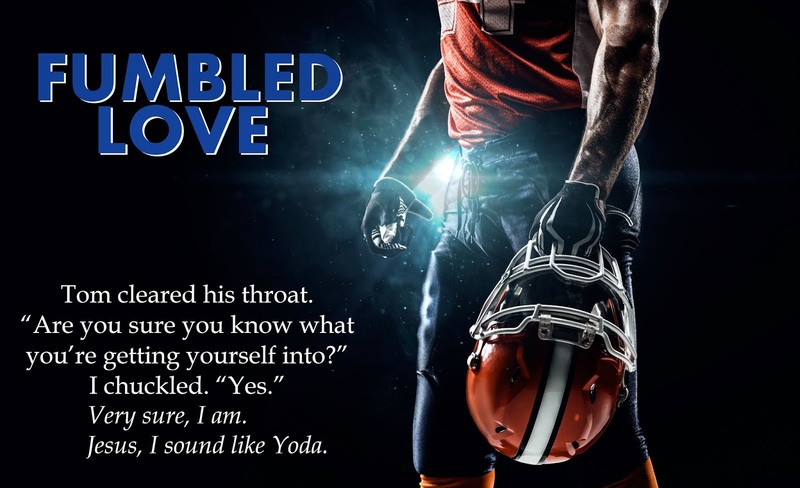 Fumbled Love is quite the slow burn romance, which is exactly how it needed to be. Carter took things slow in order to prove himself to Reagan; he treated her with care and respect, which went a long way to show her exactly how he sees her and how much her enjoys her company…her comical outbursts…her everything and it’s his words and his actions that make Carter one swoon worthy hero who has a kickass heroine by his side.